Yucca herb is a native Mexican medicinal plant. Although mainly used as an ornamental plant due to its stiff leaves and thick stalk, its root has transcended time as a popular medicinal herb with anti-arthritic effects that also reduce gout inflammation. Historically, the it has been a topical application for rashes, sprains, joint pains among other common ailments. The use of Yucca herb has demonstrated positive results in providing relief for osteoarthritis, stomach disorders, poor blood circulation, liver disorders, and diabetes. It is not difficult to find the Yucca root because it is widely used as food in specialized groceries. You can use Yucca as a food flavoring agent, or you can dry the root and create your own Yucca powder. There is also a variety of FDA approved Yucca supplements readily in the market for human consumption. The effectiveness of Yucca herb to treat a wide range of medical conditions has been attributed to its active chemicals. Hence, it is well suited for reducing cholesterol levels, and high blood pressure besides providing relief of general inflammation. Due to the chemical’s ability to act as anti-inflammatory agents, extensive research has been done to support its use in reducing symptoms of arthritis. The renowned anti-inflammatory proactive Yucca compounds make it ideal for relieving and preventing gout arthritis. For years now, these active chemicals have exhibited unlimited ability to deal efficiently with joint pain. This has made Yucca herb a popular alternative for acute gout attack compared to aspirin and other conventional arthritis drugs. For some time now, the anti-inflammatory properties of Yucca have been studied to determine the exact constituent compounds that give it these attributes. Moreover, extensive research has been conducted to examine further how such compounds are best suited to help patients suffering from gout. In retrospect, the functionality of Yucca’s chemicals is in line with inhibition of essential enzymes which are at the core of inflammatory conditions. Specifically, the Saponins found in Yucca herb exhibit ammonia-binding activity along with other compounds present. As the liver processes the ammonia, uric acid is formed. Yucca Saponins in consumed products helps to direct ammonia unabsorbed throughout the digestive tract into feces for excretion. Further studies show that the same Saponins bind cholesterol. This process on its own is significant to the body’s ability to control gout inflammation. Additionally, it eventually reduces the blood cholesterol levels. At the Agriculture Canada in Lethbridge, research has been done to show the effectiveness of Yucca extract in terminating giardia trophozoites. Giardia trophozoites are released in the gut when oocytes sporulate. They may also cause cysts. Results from similar studies have shown that when Yucca herb extract is ingested, it can be quite effective in killing rumen protozoa which aid in the breeding of Salmonella bacteria. 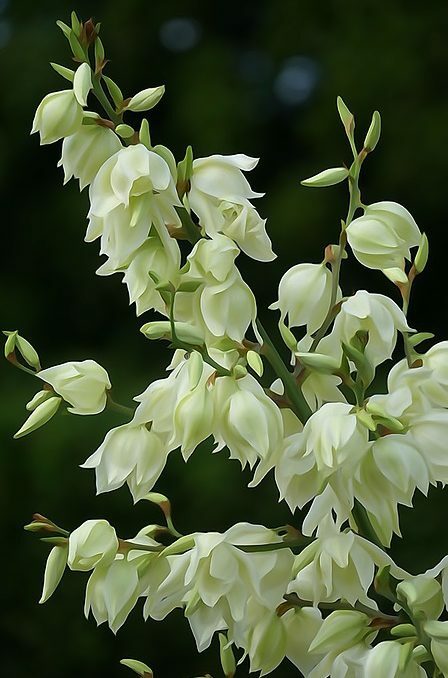 If you would like to try Yucca to relieve and prevent gout, you can take it either orally or topically. Using the oral Yucca supplements enables the body to metabolize and transfer the active chemicals to the inflamed areas of your body. This produces its anti-inflammatory effects instantly. Hence preventing inflammation induced by uric acid accumulation in the body. There are several topical usages of Yucca as a gout relieving herb such as a liquid extract or oil rubbed over the inflamed area which could be a joint. It is important to note that the joint pain will not go away immediately depending on its severity. Yucca is a rich storehouse of phytochemicals with many functions in human and animal nutrition. Yucca phenols inhibit platelet aggregation which is characteristic of inflammation. This is achieved because of the free-radical scavenging effects and the antioxidant activity of the phenols. Yucca polyphenols are known to be antioxidants with NF-kb inhibiting properties. NF-kB is a protein involved in DNA transcription and cell survival. Therefore, it aids in the prevention and induction of arthritis by reactive oxygen species. Yucca prevention of gout arthritis is achieved by polyphenols such as Resveratrol and yuccaols A, B, C, D and E.
The yuccaols inhibit Nitric Oxide Synthase (iNOS) expression which is an inflammatory agent. These yuccaols in combination with Resveratrol inhibit NF-kB which is responsible for controlling the iNOS expression in the body. There exists a strong relationship between chronic inflammatory disease, rheumatoid arthritis and food and nutrition. This has been significant in highlighting the nutrients that contribute to the accumulation of inflammation-inducing oxidants and peroxides. The potent antioxidant Yucca polyphenols have thus been used to reduce auto-oxidation. On the other hand, Saponins reduce the absorption of iron which is known to promote inflammatory diseases such as arthritis. A variety of medical research shows there is a widespread presence of free-living protozoan in the joints of arthritic patients as well as trophozoites in the intestines. The existence of these free-living protozoa sheds light on the arthritis causative nature of these organisms. This means that an effective solution would be to deal with these organisms. More so, this technique is applied in commercial metronidazole arthritis medicine which kills giardia trophozoites. Now instead of using the manufactured drug, arthritis patients could make a simple switch to Yucca herb. The herb is equally effective in killing giardia trophozoites due to the strong anti-protozoal activity of its Saponins. The topical application of Yucca has little or no side effects. If any side effects exist, they could range from rashes, itching and skin hypersensitivity. Pregnant women should refrain from using Yucca herb since research on its use among this group is not yet extensive. Hence its effects are widely unknown. At the moment, Yucca has no documented interaction with other medication, but you may need to consult your doctor before you start using Yucca supplement to reduce gout inflammation.